I’ve been a user of public transport since forever. I drove a car from 2002-2006 but those are what I call my ‘lost years’. At all other times, my main mode of transportation has been trains, trams and buses. I’ll not go into the reasons I love PT (though the eagle-eyed amongst you would have figured out my PT passion from my blog design) save to say I can’t see myself driving any time soon. The 96 tram in Melbourne is the best of the best, and it was the tram that got me to work every day and then deposited me back home in North Carlton. While commuting, I distracted myself by listening to podcasts, music or reading my latest book. I also began tweeting from the tram once I realised what an invaluable resource PT was for wacky observations that could be succinctly described in 140 characters. 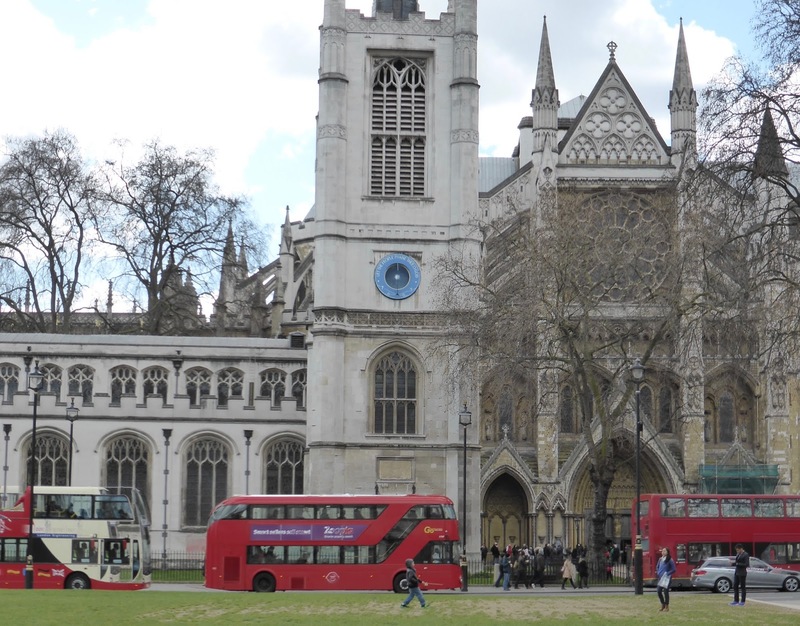 London is the mecca for those who love getting around in large vehicles meant for public use. It’s rare to find someone who drives, much less owns, a car, and the city responds in kind. Most shops offer home delivery, the national rail offer amble luggage space for your mini-break weekends, supermarkets sell PT-friendly sized products and the clever folks at TfL (Transport for London) are constantly improving ways passengers can purchase tickets (myki people please take note). Since moving to the North Carlton of London, i.e Stoke Newington, my main mode of PT has been the iconic red double-decker bus. The bus can be an intimidating prospect for those new to the city. Not only do you have to know the stop you’re getting off at, you need to know the stop before the stop you’re getting off at so you can ring the bell and make your way to the door. Plus, if you want to sit up top (and why wouldn’t you? The thrill of sitting in those front seats is one of the cheapest forms of entertainment in the city and it makes me feel like I’m riding the Night Bus from Harry Potter every.single.time.) you need to be able to walk up and down a narrow set of stairs while the bus is in motion. And the buses don’t offer the smoothest of rides. 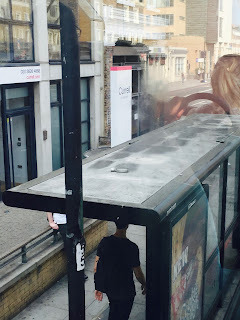 However, if you brave all these obstacles, riding a bus through the streets of London is an unimaginably rewarding experience as I discovered during my first few weeks in town. While familiarising myself with my bus routes, I decided to forgo listening to music, podcasts or reading in order to concentrate on not getting lost, and psyching myself up for the moment I’d have to descend the stairs with the bus in motion. And the most wonderful thing happened. Bus rides can be loooonnnnnggggg and so there were suddenly large chunks of time where I didn’t have anything with which to distract myself. This was such an unusual occurrence that I took notice of this boredom. And then something equally wonderful happened. I began to notice things. I mean, how does an empty glass liquor bottle end up on the top of a bus stop without smashing? HOW?? I began to notice what was happening in cafes and shops and sometimes flats, as the bus wound its way through suburb after suburb. I also noticed just how these different suburbs connected to each other and the city began to spread itself out to me like a map that suddenly made sense. I also noticed the people. I noticed just how magnificently diverse the city is and I noticed that there is kindness on every street corner, especially when someone falls over. I noticed how many foxes roamed the streets at night around Stoke Newington, and how many vomit stains could still be seen the mornings after the nights before. I also noticed, from being able to peer down and look at people’s phone screens, just how many adults play Pokemon GO. My view from the top of an iconic red double-decker bus made me feel instantly part of the city. Instantly part of the crowds that bustle down Oxford Street and chomp at the bit to get off at the stop that will lead them to Buckingham Palace. A small snapshot of these people and their lives is somehow enough for me not to feel homesick now that I live in a place that is less familiar than my lovely old suburb, a place that isn’t filled with the family and friends (and trams!) that I’ve known since forever. I’ve now been in London for just over two months and I still refuse to distract myself when I’m on the bus. Every ride is unique and I dare not have a book in front of my face in case I miss something like a little sheltie in a pram because, after all, the bus is for everyone. Look at her! LOOK AT HER!! !